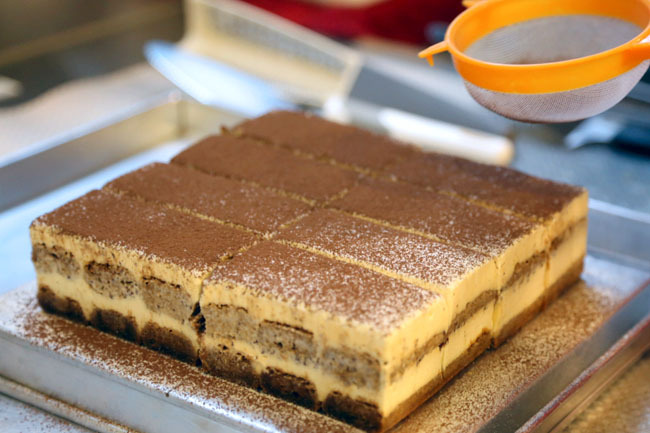 An entire café selling just tiramisu? Seems a little risky. 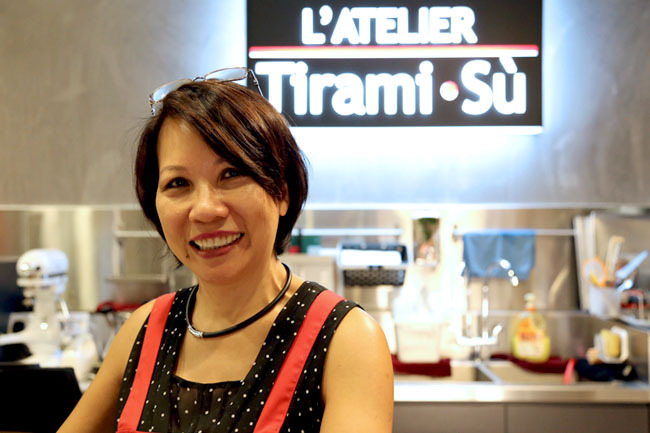 But when owner Judith feels that her product got what it takes, you know that her tiramisu probably is a cake above the rest. 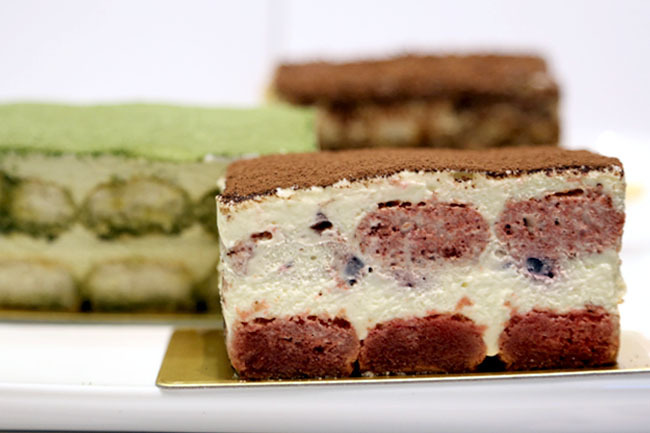 L’Atelier Tiramisu can be a little hard to find, well hidden at the corner of the basement of Clarke Quay Central. It is at the furthest end. 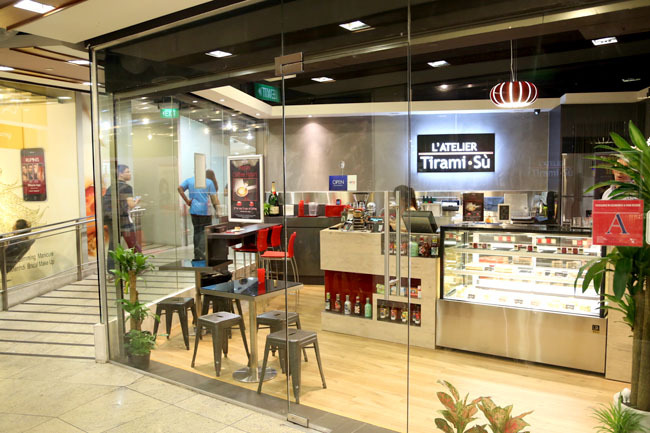 Although it is also an “L’Atelier” and in that dark black and red, this café has nothing to do with Joël Robuchon’s restaurant of a similar name. Judith learnt her tiramisu-making skills in France, not Italy as some would assume. She met her husband in Paris, stayed there for a few years, and learnt the ropes. This was a recipe handed down by the family for generations, but she modified it with additional flavours. There are four basic flavours currently – classic, lychee, dark cherry and matcha, though some more are in the pipeline. A slice is at $7.20. If you come with a date/friend, try the sampler of 5 cups at $15. I was full of anticipation, and was not disappointed at all. 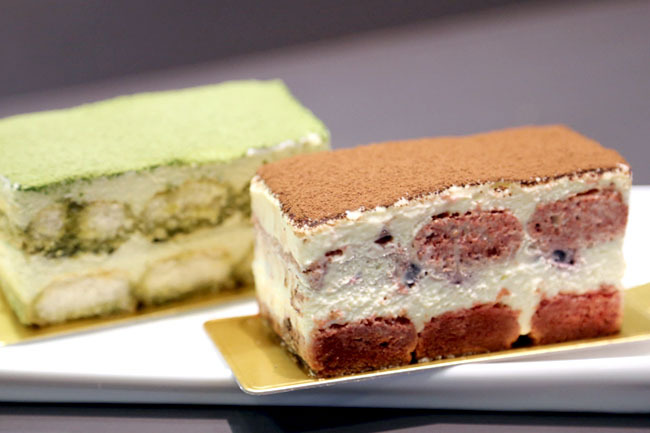 Few cakes can impress me taste-wise, while a lot can by its aesthetics. It could be the proportion of the liqueur that hooked me. No, I think it is the moisture, one of the few times I had such wet-tasting tiramisu that actually stays upright. The Dark Cherry is my next favourite, like you can really bite the sweet cherries within. I didn’t try the lychee, but the girls seem to enjoy it. Matcha was a little clash-y for me. 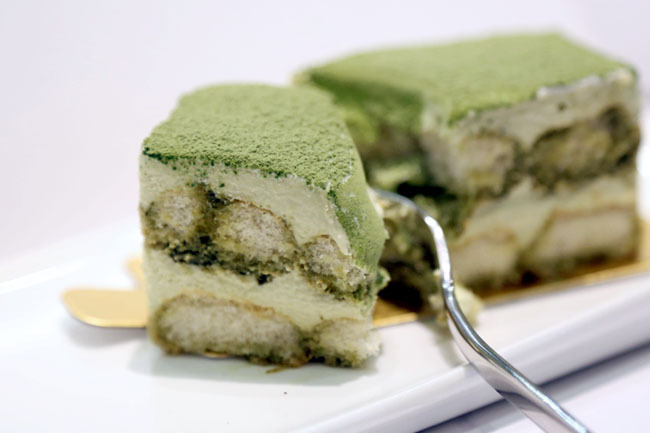 Then again, I am picky over matcha items. 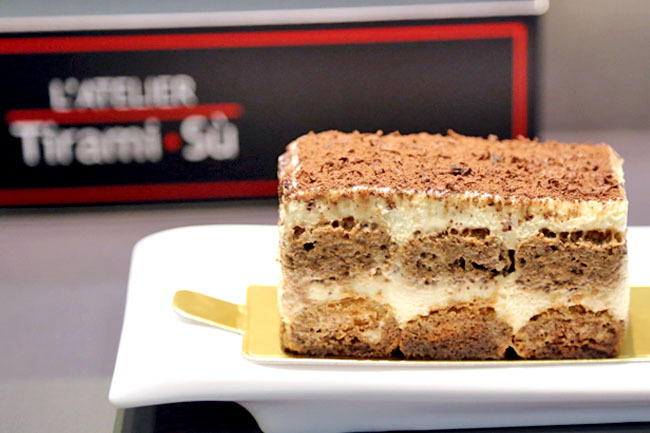 Is L’Atelier’s Tiramisu the best in Singapore? You know, it probably is. ← Swensen’s – Spanking New Dishes. Spiced Maple Chicken Waffle Recommend by DanielFoodDiary! I should try this tomorrow thanks for the posting! I really enjoy your writings.